Which Online Resources Are Valuable For Rebuilding Life After Addiction? This entry was posted in Recovery & Support and tagged Preventing Misuse, Professional Help, Support, Treatment on July 26, 2016 by Baxter Ekern. Contributed by Life Healing Center clinical team member Kathryn Taylor, MA, LPC/MHSP. Some people mistakenly assume that an addicted individual must lose everything of value before gaining the stamina to climb out of a life of addiction. In reality, addiction can be treated at any stage. Often, however, addiction develops so quickly that by the time recovery is pursued, significant damage has been done in many areas of life. True recovery requires cleaning up each of these areas. Good guidance can help the individual to build the skills to do just that. When active addiction takes over, individuals often say and do things to family and friends that they would not have done under other circumstances. Addicted individuals often struggle with what that they said or did during active addiction. One part of recovery is reconnecting with loved ones and re-establishing relationships. An important step to re-establishing necessary and loving relationships is to open up some honest and sincere communication pathways. It is critical to discuss what the new expectations will be in the relationship. Calmly discussing what the relationship roles will demand ensures that you will not get treated like an addict forever, and that the ones that you want to demonstrate your love for will have reasonable expectations of your future behavior. Clearly, taking communication from tense and strained to calm and open is not a step that will happen automatically. Counseling might even be needed to help each party to understand the other. Also, there are online resources to turn to that have helped countless families and friends work through the complicated issues associated with the relationship aspect of addiction recovery. This well-known nonprofit organization provides a handy guide to communicating and connecting with children of all ages. A collection of family groups that support family members of problematic alcohol users. A volunteer organization that can help arrange for effective family and personal therapy. Staying without work after addiction can be dangerous, both financially and physically. However, finding steady work in the job market can be daunting. Many online search sites are available to post resumes and job offers. A government program that helps those with mental disabilities find and maintain employment. Youth second-chance programs designed to help at-risk youth find gainful employment. Associations and your living environment all play a factor in your ability to stay sober after addiction rehabilitation. Finding housing that is affordable and safe is crucial to your further progress. Having many friends on social media sites can make the site stressful to use. Social networking can cause a person to waste time that could be spent on productive or more refreshing activities. Addiction to social networking reduces your educational and professional capabilities. Prospective employers might decline you if they see profanity or sexual content on your social media page. Social networking use is connected to ADHD, other mental health issues and an inability to have in-person conversations. There are many resources available online to stimulate healthy face-to-face interaction in life after addiction. While online resources are a wonderful start, consider using them to supplement quality in-person connections. With effective substance use treatment, many people are able to find greater connection to community, wellness and themselves. What resources have been helpful to you in addiction recovery? Please share in the comment section below. 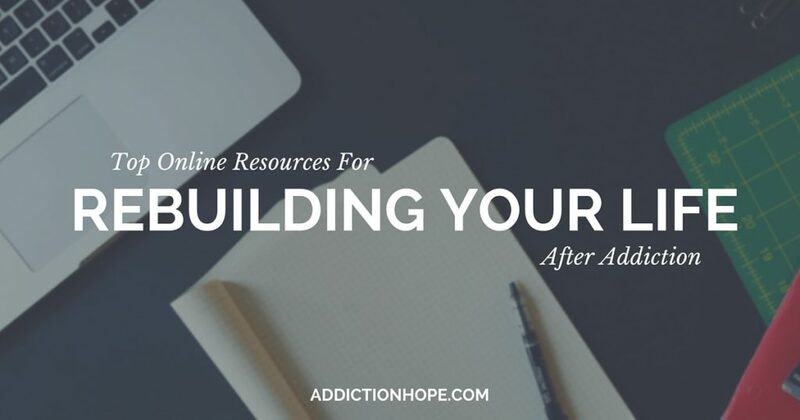 “Which Online Resources Are Valuable For Rebuilding Life After Addiction?” was written by Life Healing Center (Santa Fe, New Mexico) clinical team member Kathryn Taylor, MA, LPC/MHSP. Kathryn is a licensed mental health counselor and has several years of experience working in dual diagnosis addiction treatment, women’s issues and trauma treatment.